This travellog covers a day sight seeing in Everglades National Park while camping at Monument Lake National Park Campground. 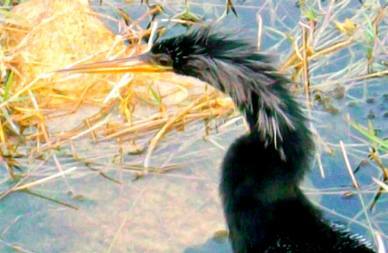 Notice the super sharp bill this Anhinga sports. Pay close attention because the next picture will show you what that sharp bill is used for. 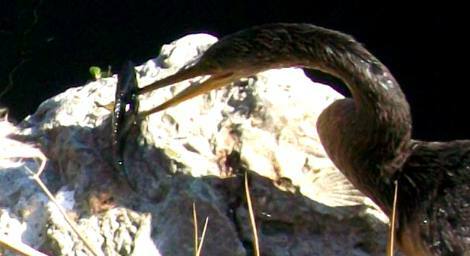 This anhinga has stabbed a small fish with its super sharp beak. Once the fish stops flopping around the anhinga will work the fish off and have breakfast. 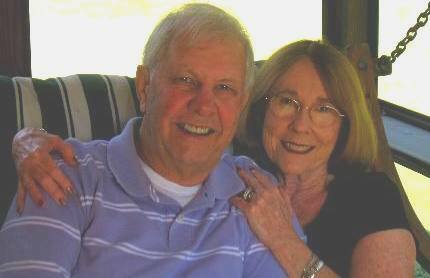 That is a cool picture Joyce. 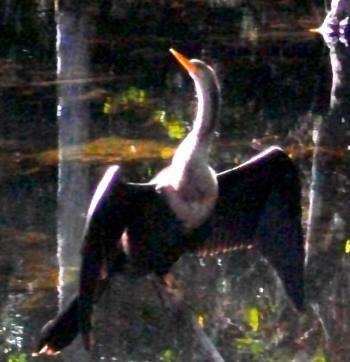 When not fishing anhinga strike this familiar "sunning" pose. 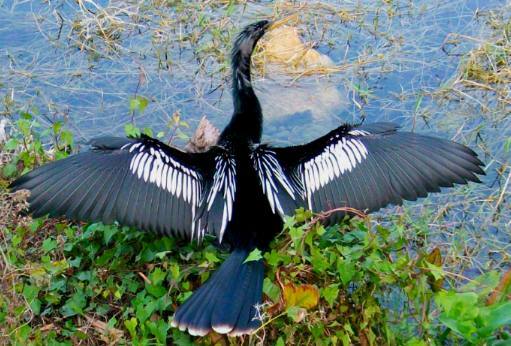 Anhinga do not have oil on their feathers so they get water logged. This is how they dry out. This anhinga is drying its feathers after taking a swim. This juvenile anhinga has speared a small sunfish with its super sharp bill. Now it has to get that flopping fish off in order to eat. It was a hoot watching this young anhinga trying to get that fish off without dropping it back into the water. That juvenile anhinga was having a hard time getting the speared sunfish off his bill in order to swallow it. We watched the show for around 10-minutes.